Alta’s resource, Preparing for New Mobility: Writing Effective Resolutions, is intended to help communities of all sizes prepare for technology such as shared-use mobility, smart city devices, and autonomous technology for passengers and goods. According to the National Conference of State Legislatures, almost half of U.S. states have enacted legislation allowing testing and pilot programs for autonomous vehicles. This year, 33 states have introduced legislation for new or expanded programs. 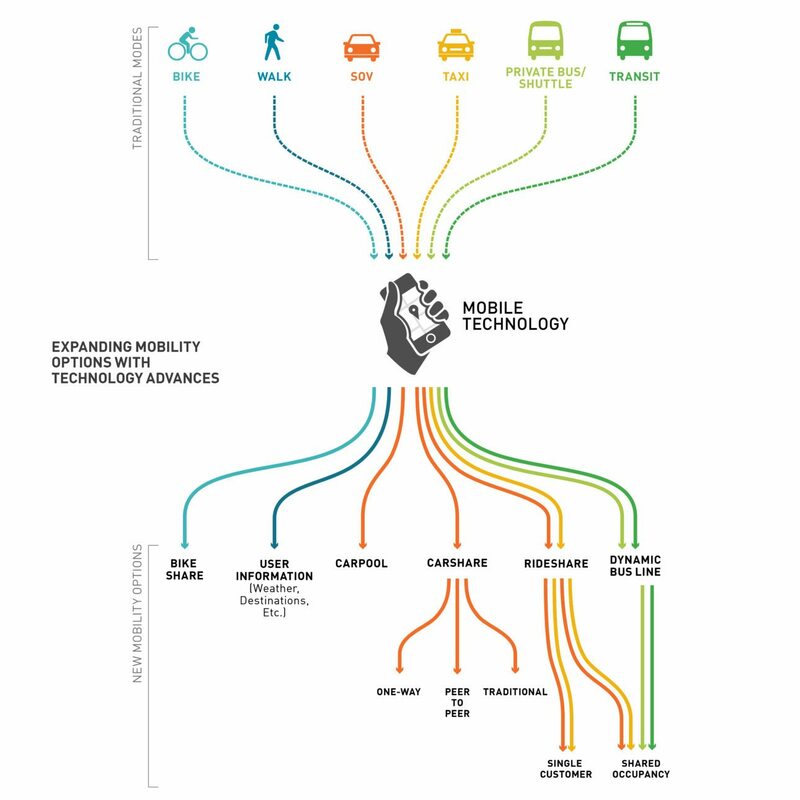 Expanding Mobility Options with Technology Advances from Atlanta Regional Walk.Bike.Thrive! Local governments and regional transportation agencies are in an uncomfortable position of having to develop policy and implement new technology at the same time. This requires a new kind of practical resource that helps communities get up to speed on transportation technology, set priorities, and determine ways to harness benefits while reducing risks. More important, information needs to focus less on vehicles, and more on systems where active transportation, transit, and technology work together to further expand access, opportunity and mobility options. To help communities take practical steps now, Alta is excited to announce a new resource to help communities take the first steps in preparing for changes with transportation technology. To initiate action, local government officials often adopt formal resolutions. Resolutions can take many forms, from simple position statements to initiation of new program areas. Resolutions represent a precursor to action and are a helpful method for publicly communicating priorities, new policy development and activities. Even if you are not considering a resolution, the paper provides background information for information sessions, presentation, and policy papers. Use the information and bullet points to update Comprehensive and Transportation Plans. Use the paper to decide what kind of action your community or stakeholders need to take. For resolutions, adopt or adapt sample language that reflects your community’s desired path to new mobility and transportation technology. Who is the White Paper for? Elected officials: Use the paper as a conversation starter with constituents and stakeholders. If you are contemplating action, share this document with your City or County Manager to initiate a process. City or County Managers: Use the paper for strategic planning sessions involving multiple departments. Local and regional governments: Transportation departments and Metropolitan Planning Organizations (MPOs) can brainstorm with constituents and transportation partners about planning and policy changes needed. Transportation, health, and transit advocacy groups: Use the document to inform priority-setting for multiple modes of transportation, including active transportation and transit. This white paper is intended to be a living document that expands and improves as technology evolves. Let us know what other new mobility issues you are addressing. Want to learn more about our New Mobility services or share your mobility planning needs? Contact us at NewMobility@altaplanning.com or send us a message using the form below.